Samsung Pay offers two methods for communicating with payment terminals: Near Field Communication (NFC) and Magnetic Secure Transmission (MST). As most Android Police readers are familiar, NFC is a short-range radio technology that has become a popular method for implementing contactless payments. 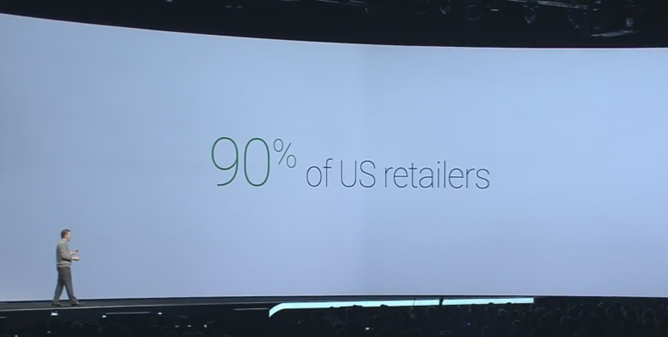 Samsung estimates only 10% of credit card terminals support NFC, which has prevented it from readily catching on for Google Wallet, and more recently Apple Pay. Magnetic Secure Transmission is a bit different. A device equipped with a special inductive loop generates a magnetic field that can be picked up by the mag stripe reader inside of standard credit card terminals. The signal that is generated resembles that of a user's credit card. For all intents and purposes, the terminal is tricked into thinking a physical credit card has actually been swiped across the reader head. The range of MST is about 3 inches, which is roughly equal to that of NFC. Samsung acquired this technology with the purchase of LoopPay, which actually started as a Kickstarter project. Samsung says the combination of the two technologies should allow the consumers to pay for goods at approximately 90% of all existing point of sale terminals. Partnerships have been forged with MasterCard and Visa, and Samsung is working with many other institutions around the world to expand support for other types of cards and payment services. Of course, since MST simulates a physical card, it should allow users to complete transactions using just about any type of card. Samsung notes that private label credit cards should work, as well. With the Galaxy S6 and S6 Edge, users will launch Samsung Pay with a swipe up from the bezel, which activates the fingerprint reader. Once a device owner has been authenticated, the device can be placed near a credit card terminal or NFC reader to complete a transaction. The process closely resembles Apple Pay, and it's actually a bit less involved than Google Wallet. Samsung makes it clear that personal account numbers are not stored on the device, but on Samsung's own servers. When a transaction is to be made, a unique token is generated to prevent fraud. It's not yet clear if this security measure is only true for payments made through NFC, or if Samsung is working with credit card companies to issue single-use virtual credit card numbers for MST-based transactions. While Samsung Pay will legitimately give consumers the option to use their phones to make purchases almost anywhere, the technology is not perfect. Roughly 10% of terminals will not work with MST, and many of those probably cannot be identified just by looking at them. With just incompatible hardware, users may face 1-in-10 odds of failure, and possibly higher if MST isn't perfectly flawless each time. To be fair, incompatible terminals probably aren't in high-traffic locations. Still, this might leave a lot of people to look foolish as they hold up a line of customers whilst banging their phone against a terminal like trained apes. Plenty of Google Wallet users have experienced this shame, and it probably won't take more than one embarrassing encounter before most people would switch back to good ol' plastic. 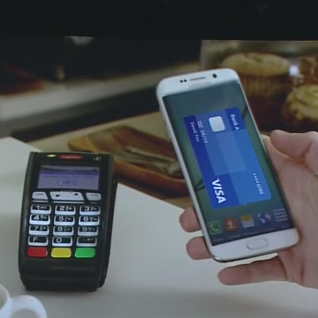 Samsung Pay will initially launch in the United States and Korea this summer for the Galaxy S6 and S6 Edge. While MST requires special hardware that will only be found on those two devices (for now), Samsung has not specified if the wallet capabilities with NFC support will also appear on older hardware. Expansion into Europe, China, and other regions will happen further down the road, but no more details have been given.